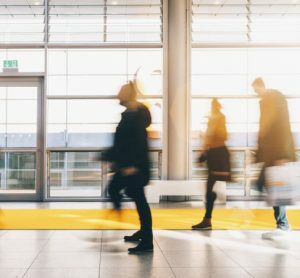 An airport passenger terminal is an extremely complex building; containing a multitude of precisely interlinked functions defined by various stakeholders. 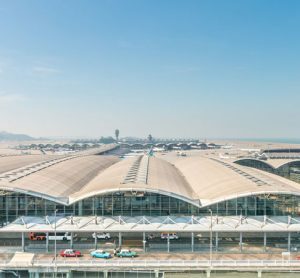 Terminal operator expectations and requirements are high and demanding – the building must display architectural proficiency and identity without suffering any loss in functionality and passenger comfort. 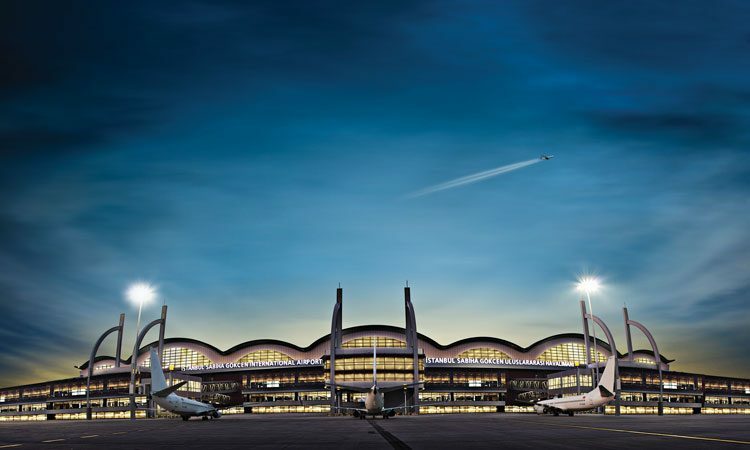 Mehmet Emin Çakirkaya, Principle Partner and Architect at Tekeli-Sisa Architects, reveals how Istanbul Sabiha Gökçen Airport overcame these construction challenges during the construction of the terminal. The requirements set out by terminal operators influence both the architectural design and the construction phase of a terminal project. Additional design and construction challenges unique to individual airport terminals are introduced. These problems must be handled effectively for a successful and efficient terminal building. Istanbul Sabiha Gökçen Airport Terminal and car park was designed by Tekeli-Sisa Architects following a design competition held by HEAŞ, the state airport authority. 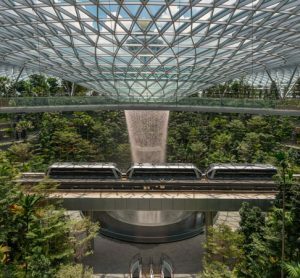 During both the design and construction phase many challenges were resolved and the result is an efficient building that can now accommodate 25 million passengers per year, compared to the design assumption of just 10 million passengers per year. The project was a BOT (build–operate–transfer) type development where an operator-contractor company was selected both to build and then operate the building for a period of 20 years. 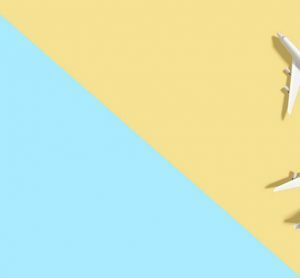 This approach has been widely utilised in Turkey for airport investments in recent years and has helped to boost aviation travel with new or improved airports in many Anatolian cities. In BOT projects, the developer’s main aim is to shorten the construction phase in order to prolong the operation period and start revenue generation. This expectation placed a huge pressure on the delivery schedule of the project. The construction company’s aim was to finish the build more than a year earlier than the contractual construction finish date. This would also decrease costs. As a consequence, construction began before full design documents were finished. Design was constantly being updated as other engineering companies worked on their own designs and set new requirements that would influence the architectural layout. With an extraordinary coordination effort, design deliverables were sent to the site office according to the construction programme where orders were immediately placed and construction jobs defined. In the overall construction schedule, construction of the relatively simpler multi-story car park was initiated first, rather than the terminal, to allow time for the piling of the terminal and the design of the foundations. With this approach, the construction company could also utilise its resources more efficiently. As a result overall construction was completed in just 18 months for a total area of 350,000m2 including the car park, which can accommodate 4,000 cars. A major design challenge in airport terminals is the immediate occupancy requirement after earthquakes. Normally, seismic design aims to provide life safety in a building during an earthquake and some damage to the building is acceptable. However, an airport terminal is a critical building that must be immediately operational after an earthquake has taken place in order to deliver supplies and evacuate the wounded. In Sabiha Gökçen, pendulum-type seismic isolators were used to provide immediate occupancy. Normally, the isolators would be placed under the foundations and would allow the upper structure to move independently of the foundations by up to 40cm in every direction. This would mean that the more violent movements of the earth and foundations would not be transferred directly to the upper structure. The movement of the upper structure would be much slower and softer compared to the foundations, dampening the seismic effects on equipment, building elements and people. This requirement presented a large obstacle in the construction schedule, as the high-tech isolators suitable for the project were produced by a very limited number of companies in the world. The isolators chosen were imported from the U.S. and required a very long production and testing time that inevitably delayed the construction of the foundations. Following consultations with experts and structural engineers, the location of seismic isolators was transferred from the bottom of the foundations to the bottom of the ground floor slab. The isolators were fastened to the top of the concrete columns just below the steel ground floor slab and, in so doing, the number and size of isolators was reduced and construction of the foundation and basement floors could commence immediately after piling. This solution helped the time schedule, but introduced more challenges in architectural and electro mechanical design. All vertical connections between basements and the ground floor – such as elevators, escalators, stairs, ducts and electrical trays – were redesigned with special details that would accommodate a horizontal shift of 40cm in the event of an earthquake. Elevator wells required the most innovative solution where the full steel elevator well structure was attached and suspended from the steel floors above the isolators. This way, in the basement floors, the elevator wells could move freely during an earthquake without damaging other building elements such as walls and suspended ceilings. Another architectural feature of airport terminals is the inevitable application of large structural spans. With large column-free spans, flexible space can be achieved and layouts will be less hindered by columns. The spaces created will be more astounding and impressive to the users. The roof covering these large spans is another important architectural element of the building that gives it a unique identity with its special shape. Extensive architectural design effort is spent on roof design in most airports, often featuring distinctive forms and curves with the intention of evoking symbolic impressions. In Sabiha Gökçen Terminal, spans of up to 48m were used in the upper floor. For efficiency and ease of construction, a practical, relatively inexpensive structural design was necessitated, yet the resulting form had to be identifiable and impressive both from outside and inside. Given these requirements, a steel truss and arch combination with alternating spans of 48m and 36m was designed. The resulting roof structure is a simple series of seven arches undulating with alternating heights. These seven arches make up the general character of the landside and airside elevations. They make the building unique to its context and to Istanbul. They also provide some symbolic meanings to the users, such as the seven hills of Istanbul or the silhouette of Istanbul with domes of Blue Mosque and Süleymaniye Mosque. On the technical side, the roof structure is light and inexpensive compared to alternative structural solutions spanning the same width. The height of the system allows the installation of maintenance catwalks and lighting supports. From the inside, the longitudinal direction of the arches indicates passenger flow direction towards the airside. The apexes of the main higher arches are in harmony with the main passages from the landside to airside located below their centreline. During the design phase, a major challenge was to locate 16 aircraft gates with boarding bridge connections that had at least two large E-Class aircraft positions. Since the available apron length was limited, the design required an innovative approach. Conventional solutions with larger parking positions for E-Class aircraft resulted in long pier blocks that would not fit within the limits of the apron length. Conventional solutions also meant that the passenger routes would be longer and the footprint of the pier block would increase, resulting in higher construction and operation costs. Instead of the conventional gates, eight MARS (Multiple Aircraft Ramp System) gates accommodating either two C-Class aircraft or one E-Class aircraft were designed. This way, the operator had the flexibility to accommodate an E-Class aircraft at any gate, rather than needing two dedicated gates. The overall length of the pier block was reduced resulting in shorter passenger routes and more free apron space for future extensions. Since the terminal was built with a BOT model, the operator company aimed to install income generating functions and utilities in the terminal as much as possible. A variety of retail and duty free areas were particularly important revenue generators for the company. During the construction phase, the operator’s commercial team progressed with marketing of the terminal with prospective tenants. As each tenant was determined, its spatial requests and utility requirements were defined as the construction was underway. Billboards were another revenue generator. Operators requested to install the most number of billboards possible. All billboard sizes and locations were determined within the interior design principles. Signage locations and FIDS were also integrated into the design. The introduction of these new information and additional details at the construction phase required various revisions and additions to the design, involving extensive coordination work. In an airport terminal, various special functions related to aviation, passengers and security take place. These functions require special equipment such as x-ray machines, baggage conveyors, boarding bridges, and travellators. This equipment is produced by specialised vendors who usually require long delivery times that may influence the construction schedule. Therefore, at the beginning of the construction phase, all special equipment was selected and orders were placed. Some vendors, such as the baggage conveyor, even undertook design work for their own products. The design was constantly updated according to the specifications and requirements of this equipment. An airport terminal is the combination of many complex networks and functions. Designing and building an airport terminal is a multidisciplinary project that requires input from a large team of architects, engineers, experts and vendors. In Sabiha Gökçen Airport, an outstanding team effort was achieved to deliver the building in a very short time. Today the terminal handles more than twice the number of passengers than its original design target and acts as the second major airport of a mega city. Design and construction challenges are now mere memories, but their solutions are evident in the building. 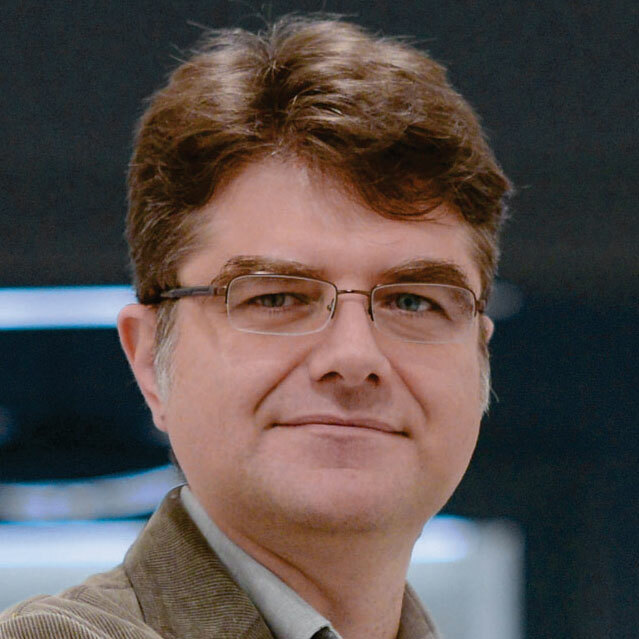 Mehmet Emin Çakırkaya is the Principle Partner and Architect at Tekeli-Sisa Architects. He was born in Istanbul and graduated from the ITU Faculty of Architecture in 1991. He won the Emin Onat Architecture Prize and YEM Outstanding Architecture Student Prize during his architectural education. Mehmet completed his masters on the topic ‘Architecture of Tourism and Tourism Buildings’ in 1993 and then worked as a research assistant in the ITU Faculty of Architecture, Architectural Design Department until 1995. He started to work as a project manager in Dogan Tekeli – Sami Sisa Architecture Ltd. Company in 1995. After the reconstitution of the firm as Tekeli-Sisa Architecture Partnership in 2004 he joined as one of the partners. He has also been partner of the Cakirkaya Construction Company since 2000.